With a Glas-Col Snorkel Stopper, you'll never again have to take time to open the stopcock and relieve pressure when vigorously shaking a separatory funnel, because our Snorkel Stopper does the task automatically. 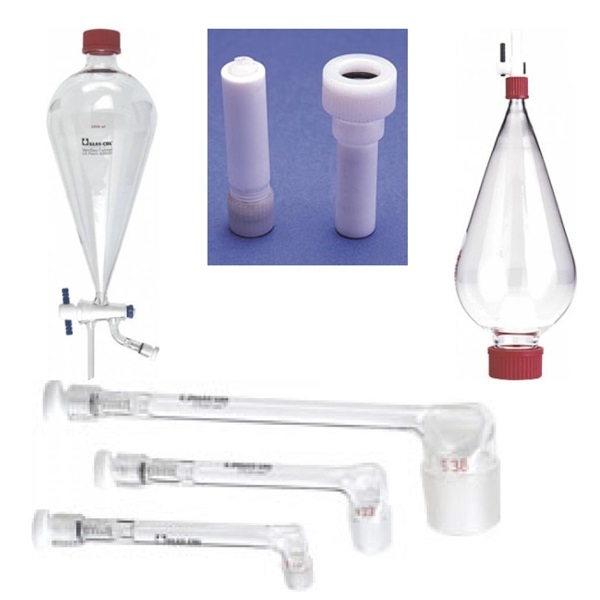 When using a Glas-Col shaker (Bench Top Reciprocating), you can simply load the funnels onto it and get on with more important things without worrying about exploding glass. The Snorkel Stopper features a one-way check valve that automatically relieves gas pressure. The non-sticking, ground-glass valve is backed with a stainless-steel spring and a PTFE closure screw for maximum chemical resistance. The valve releases pressure of more than 1 pound and prevents direct air contact with the vessel. Each valve is made of PTFE resin and is factory preset to release at 1 psi of pressure. The valve can be adjusted to release at pressures up to 5 psi by turning the pressure release screw on the top of the valve with a screwdriver. 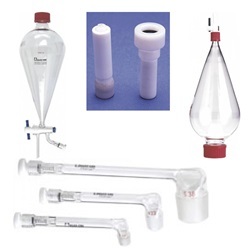 Models are also available to convert other separatory funnels to automatically vent. VentSep, a special 1-liter or 2-liter separatory funnel with built-in relief valve, can be used on Glas-Col's Bench-Top Shaker or either of the Glas-Col 3D shakers. That means you can shake up to eight 2-liter funnels or ten 1-liter funnels at once without worrying about pressure buildup. What's more, VentSep features a screw cap instead of a penny-head stopper. 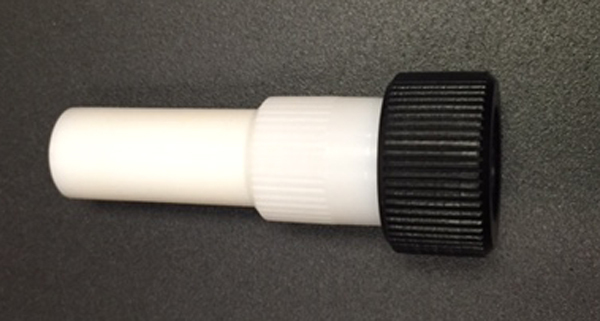 As a result, VentSep is safer to use in the laboratory because the screw cap doesn't need restraining and won't come off at inappropriate times, though it will come off easily when you want it to. VentSep will vent gas pressure over 1 psi automatically. This means you reduce the possibility of unsuspected pressure buildups that could cause exploding glass and personnel injury. As a result, vigorous hand or machine shaking can be done with confidence. Factory set to 1 psi, adjustable to 5 psi.